How to use array in C# programming? It is not a suitable way to declare multiple variable of same data type. To overcome this situation, array came alive. An array is a collection of same data type. If you have to declare 100 variable of same data type in C#, then you can declare and initialize an array as follow. To understand concept of array, consider the following example. What happens in memory when we declare an integer type array? 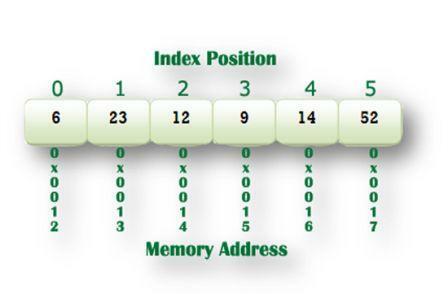 It stores the values in the index position of the array starting with 0. In this chapter you learned about what is array in C#. You also learned how to declare array in c sharp proramming. In next chapter, you will learn how to store value in array.